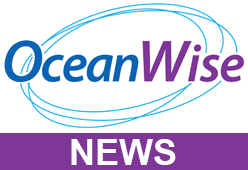 UK based marine data management company, OceanWise, has been awarded a contract by the Government of Dominica for the supply, installation and maintenance of a water level monitoring system comprising two coastal sites, with potential expansion to a third site at a later date. The data are required to establish a vertical datum for Mean Sea Level (MSL) in the short term and to enable the refinement of this datum value in order to provide data for operational, planning and climatological purposes in the longer term. The system is being delivered via OceanWise Licensed Partner in the Dominican Republic and wider Caribbean, Geomedicion, Instrumentos y Sistemas, SRL, in collaboration with UK based instrument manufacturer, Valeport. Additional equipment is being supplied by Xylem. Data telemetry will use the ip.buffer Smart Telemetry unit from OceanWise and will be enabled via GSM and GOES networks. Data management and dissemination will utilise OceanWise cloud based Environmental Data Sharing and Publishing platform, Port-Log.net. The set up provides remote system monitoring and support, a major benefit for a small island nation state.